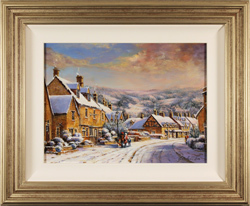 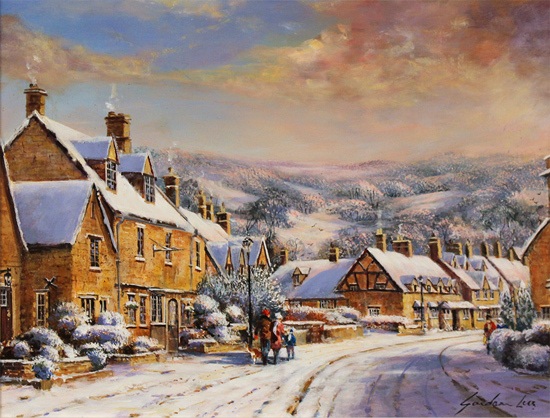 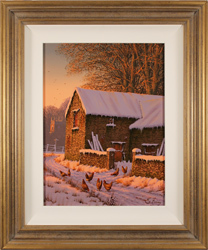 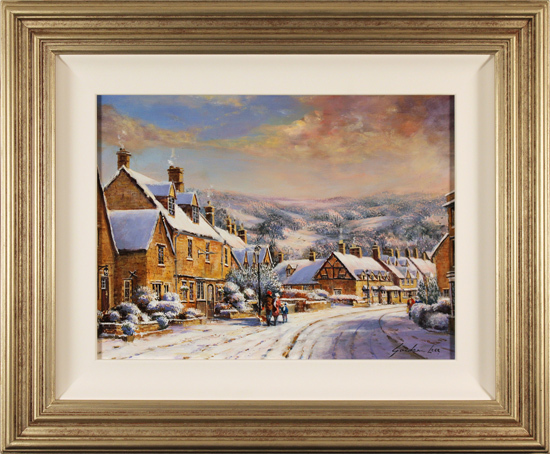 Brimming with nostalgia, A Snowy Broadway, The Cotswolds is a quintessential Gordon Lees scene. 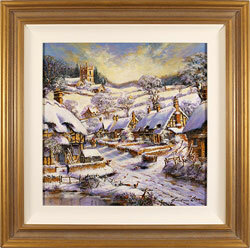 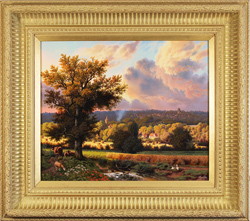 Lees delicately depicts a picturesque village in the Cotswold Hills, a favoured location inspiring many of his light drenched paintings. 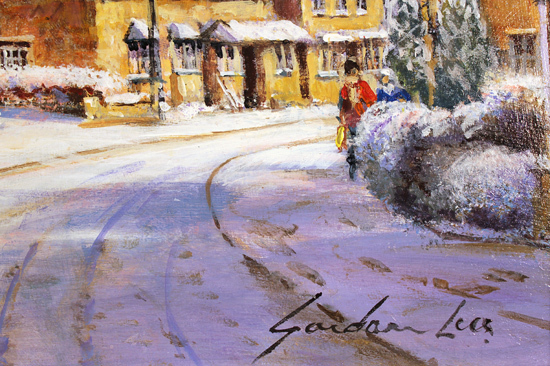 In an ordinary yet idyllic moment, a young family takes the dog for a walk in the crisp winter air, savouring the delight of this simple pleasure.